I am not a beast of burden. 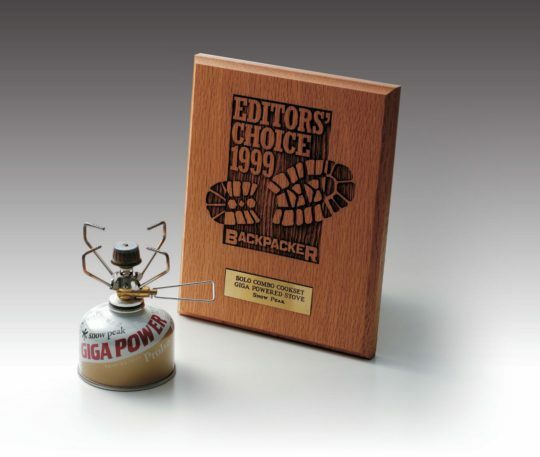 Over the years, I have reduced my pack-weight, ruthlessly. As a matter of fact, after every trip, I force myself to remove something from my pack, so as to not bring it on a future outing. This after many seasons of carrying ridiculous loads on my back and shoulders, into the backcountry wilderness. Thinking about it now, it is both funny and embarrassing. This is what finally got me to purchase a Snow Peak canister stove and their pot, lid, and drinking cup set. Today, I do not bring anything that is not multi-purpose or is not food! I enjoy my adventures a lot more and I always have that extra kick to make it up the trail. Snow Peak’s most trusted and popular stove, just got better. The Snow Peak GigaPower 2.0 Auto, packs a better punch and has all the excellent qualities of the original Snow Peak GigaPower Stove. It is now lighter and more robust in construction. 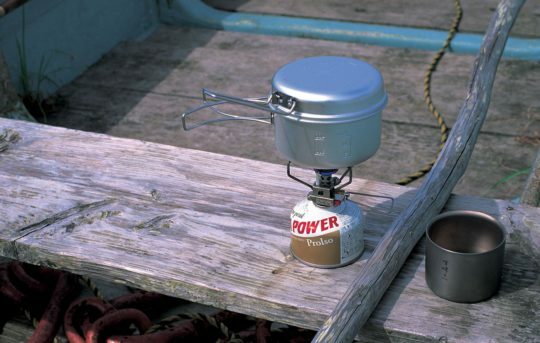 Lightweight and compact, it will boil 1-litre of water at sea level in less than 5 minutes. 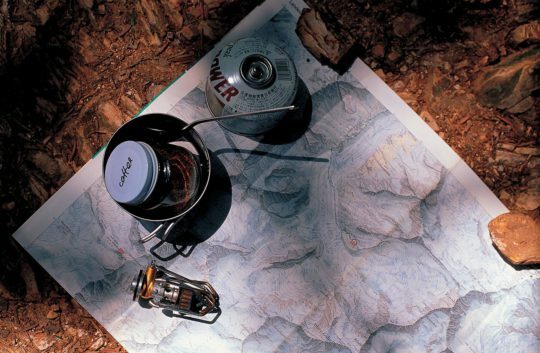 When paired with the Snow Peak custom windscreen it is a superior quality backcountry stove. It has a true simmer function, so it can be used for cooking and not just for boiling water. This makes it more versatile for cooking at lower temperatures, and it comes with its own plastic, protective, carrying case. Snow Peak makes 2 different grades of fuel, for its stoves, one which is designed for colder temperatures. In addition to my Snow Peak stove, I own other Snow Peak products, namely, their titanium pot, lid, and cup set. I have owned and used this cooking set for years. I can’t quite remember how long ago, now, but I’m sure it must be close to 10 years. I love my Snow Peak stove, and the titanium cooking set. It is constructed of superior quality and has never failed to perform. 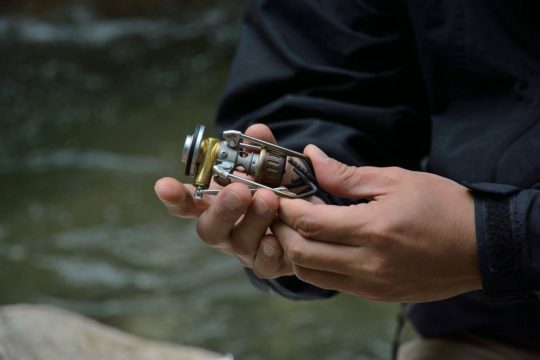 Lightweight and compact, it is a pleasure to bring into the backcountry. 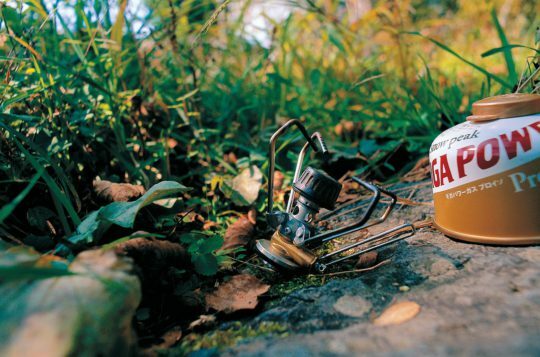 It is my go-to 3-season backcountry stove. Snow Peak prides itself in the quality of its products. All reasonable damage can be returned to the place of purchase and will be addressed at their expense. As you can see from the above photograph, Snow Peak Stoves have been around for a long time. They have proven their worthiness to me, and to thousands of backcountry and wilderness users. If you have any comments, questions, or concerns about this model, or other Snow Peak products, I would be pleased to address them for you. You can Contact Me at your convenience. Thanks for the review very informative. The Gigapower has been around for quite some time. I have one of the older titanium models which I don’t think is being manufactured any longer. Giga power stove is a great little stove. It is small and compact. Nice stove with four supports, robust and they will not bend under any reasonable load they won’t flex. Snow Peak so it really is a lifetime investment. I’m happy to hear that you own and use Snow Peak products. They truly are a lifetime investment when properly cared for. I can’t seem to find the older models as well. My trusty Snow Peak follows me up and down the mountainsides, over the hills, and across the fields and valleys. I just love it. Thanks for sharing your Snow Peak experience. I appreciate it.